LG recently introduced its first flagship for the year, the G7 ThinQ, as well as three other mid-range smartphones – Q7, Q7+, and Q7α. Aside from the G7 ThinQ that's only available in South Korea for the time being, the rest of the phones will go on sale in the coming weeks. However, Korean media reports at least three other LG smartphones will be launched in June. 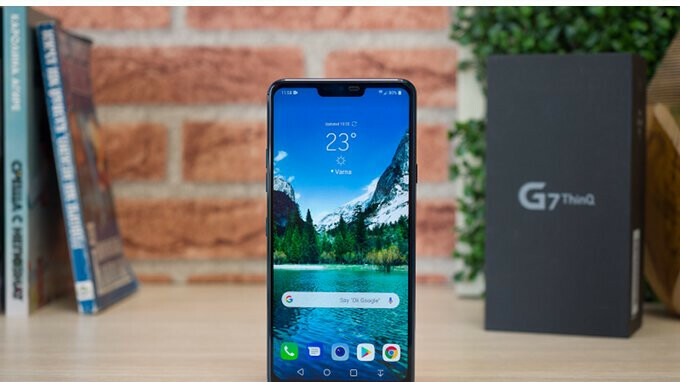 One of them is the second LG-branded flagship handset for the year – the V35 ThinQ. Along with LG's top-tier device, two entry-level smartphones will be introduced next month, the X2 and X5. The LG V35 ThinQ will be equipped with the same chip that's packed inside the G7 ThinQ, the Snapdragon 845. Additionally, the phone will include 6GB RAM and 64GB internal memory. The flagship is said to boast a 16-megapixel dual-rear camera and a secondary 8-megapixel selfie snapper with f/1.9 aperture. Three types of biometrics will be available in the LG V35 ThinQ: voice, face and fingerprint recognition. The phone will ship with Android 8.0 Oreo on board and will be powered by a 3,300 mAh battery. The other two entry-level LG smartphones coming next month, the X2 and X5 are based on Qualcomm Snapdragon 425 and MediaTek MT6750 chipset architectures. The former sports a 5-inch display with HD (720p) resolution, and packs 2GB RAM and 32GB storage. The LG X5 has a slightly larger 5.5-inch display with HD (720p) resolution, as well as 2GB RAM and 32GB internal memory. One of the major differences between the two entry-level phones is the batter. The LG X2 is powered by a 2,410 mAh battery, while the X5 comes with a huge 4,500 mAh battery. The former will cost $185 outright, whereas the latter is expected to sell for around $275 in South Korea. So, I guess no V40? I guess it will come later this year. I think that the specs are wrong and that the V35 will be a rebranded V30 for select markets as earlier leaks indicated. But I could be wrong of course. OK LG. We know your devices have AI stuff and they are smart. Just get rid of that "ThinQ" thing! Off topic: the European unlocked G6 finally got Oreo. This launch and variation confusion is the same reason I'm done with LG. If they can put a 4500 mah battery in an entry level phone, seems like they could at least get a 4000 mah into a flagship.